In stock -This product will ship today if ordered within the next 6 hours and 40 minutes. This product combines the hugely popular joint care nutrient, Glucosamine sulphate, with another called Chondroitin sulphate. The latter is an important structural component of cartilage, the tough tissue that lines the surfaces of bones, and forms a major part of the extra-cellular matrix that provides much of cartilage’s resistance to compression. Chondroitin sulphate is now a popular supplement worldwide, following a number of positive studies, and is usually combined with glucosamine as this compound works in a different but complimentary way. This product provides these two nutrients at levels that are effective. 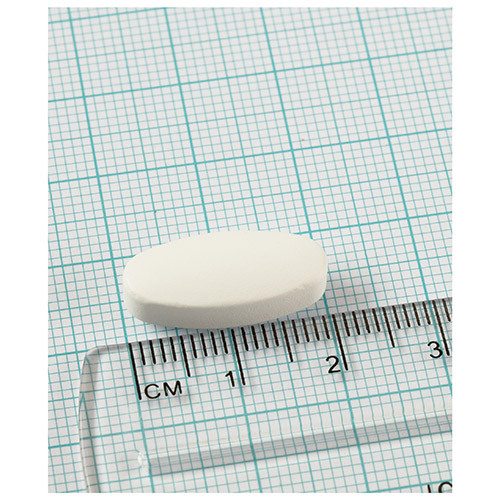 It is worth noting that a common practice with chondroitin supplements is to use preparations that are just 20% chondroitin, but the label declares this as if it is 100% chondroitin. Therefore a supplement declared as ‘400mg chondroitin sulphate’ is often just 80mg of chondroitin sulphate. 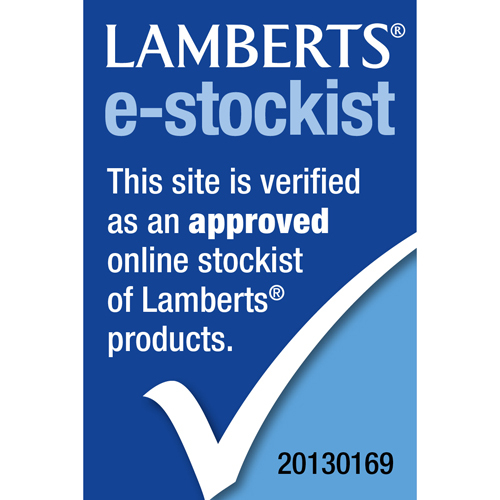 However, this LAMBERTS supplement uses 110mg of a 90% preparation to provide 100mg of pure marine chondroitin. Take 1 tablet, 3 times daily with a meal or as directed by a practitioner or pharmacist. 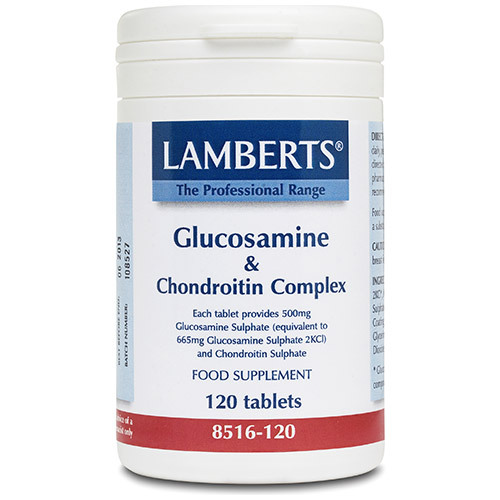 Below are reviews of LAMBERTS Glucosamine & Chondroitin Complex -120 Tablets by bodykind customers. If you have tried this product we'd love to hear what you think so please leave a review. 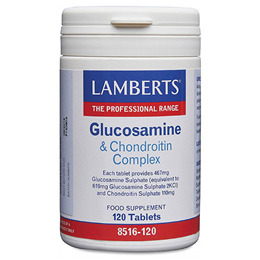 LAMBERTS Glucosamine & Chondroitin Complex combines the hugely popular joint care nutrient, Glucosamine sulphate, with another called Chondroitin sulphate. The latter is an important structural component of cartilage.